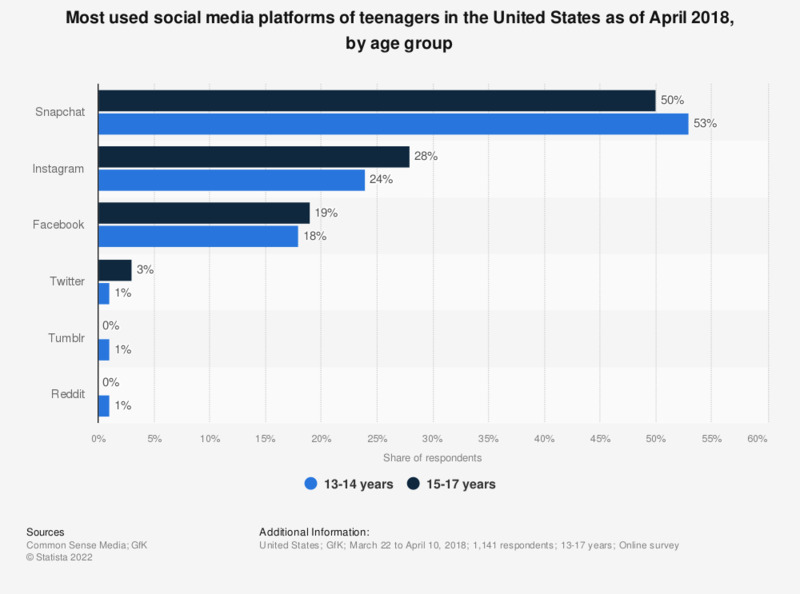 This statistic presents the most used social media platforms of teenagers in the United States as of April 2018, sorted by age group. During the survey period, 50 percent of respondents aged 15 to 17 years stated that they used Snapchat the most. For the social media platform, Tumblr, among respondents between the ages of 15 to 17 years the value ranged as greater than zero percent but less than 0.5 percent. Which of the following social media platforms do you use for your journalistic work during a normal week?